At the Voorhees Town Center, Elena Wu has opened on Restaurant Row (12106 Town Center Blvd., 856-375-2289). The restaurant can prepare many dishes with gluten-free soy sauce or otherwise accommodate guests. Turning Point, a New Jersey mini-chain serving breakfast and lunch, recently opened its first South Jersey location in Marlton (300 Rt. 73 N., 856-988-1528). The "gluten-sensitive" menu on hand includes egg dishes (omelets and skillets), appetizers and salads. Customers can bring in their own bread for French toast and sandwiches. In Princeton, the gluten-free menu at traditional American restaurant Winberie's (1 Palmer Sq., 609-921-0700) includes fries from a dedicated fryer. Underdogs has closed up its South Philly location but it's business as usual at the original Rittenhouse Square spot, says Philly.com. Underdogs has gluten-free buns available for its franks. P.F. Chang's new summer menu additions include one gluten-free entree. The Summer Vegetable Quinoa "Fried Rice" is made with wok-toasted quinoa with sunburst squash, mango, tomatoes and snow peas, topped with a sunny-side egg. 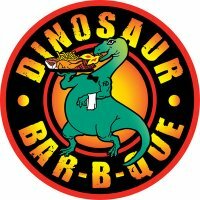 Philly.com also reports that upstate New York BBQ staple Dinosaur Bar-B-Que is scouting a location on the 1500 block of Chestnut Street in Center City. There are wings, sides and, of course, a lot of 'cue on Dinosaur's gluten-free menu. The Cheesecake Factory will be adding a gluten-free menu come August with about 70 options. Tuesday's post featured a review of La Pasta's delicious gluten-free ravioli, sold at Whole Foods in the refrigerated case. With a successful test run in Massachusetts and Florida, Dunkin' Donuts will soon be selling a gluten-free cinnamon sugar donut and blueberry muffin nationwide. The products are made in a dedicated facility and are already packaged by the time they're delivered to stores. Sinfully Safe is a Trenton-area gluten-free bakery that distributes brownies and cookies at markets and stores throughout Bucks and Mercer counties and the surrounding area. 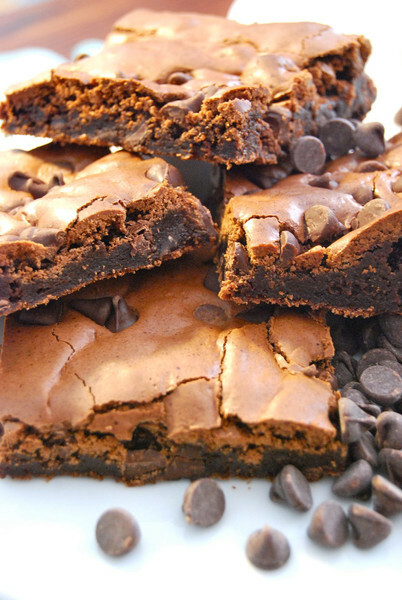 Chef Maggie Bauer's sweets can also be ordered online. *ndulge Cupcake Boutique has opened a second location in Manayunk (4373 Main St., 267-297-8214). As at the Bryn Mawr location, gluten-free cupcakes are available via special order. Gluten-free peanut butter cup and black & white cupcakes are sold on Sundays at Sublime Cupcakes in Wyomissing (72 Commerce Drive, 610-898-4183) and coming next month to Collegeville (141 Market St.). Bakers there prepare gluten-free cupcakes before the day's baking and rewash all equipment before making the batter. They're then stored in a covered rack while the traditional baking is done.